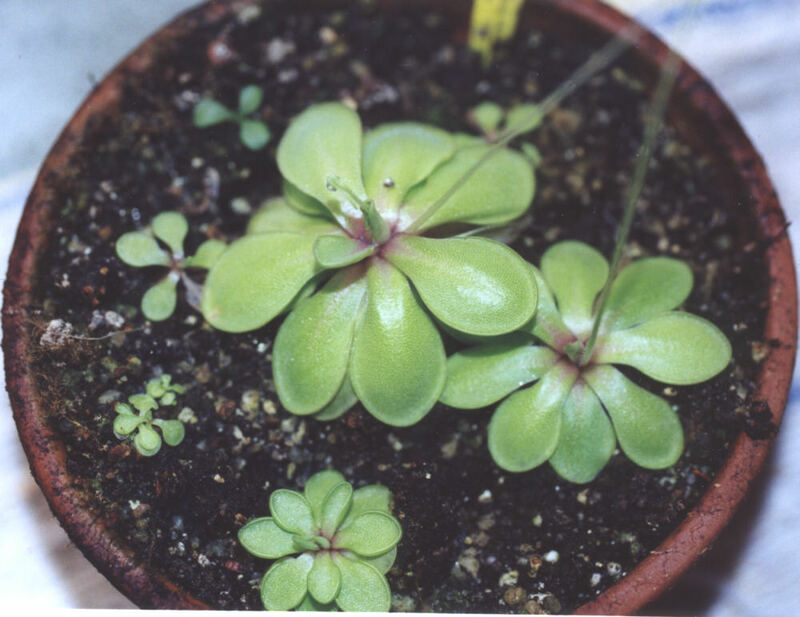 From Stan Lampard's Pinguicula collection. 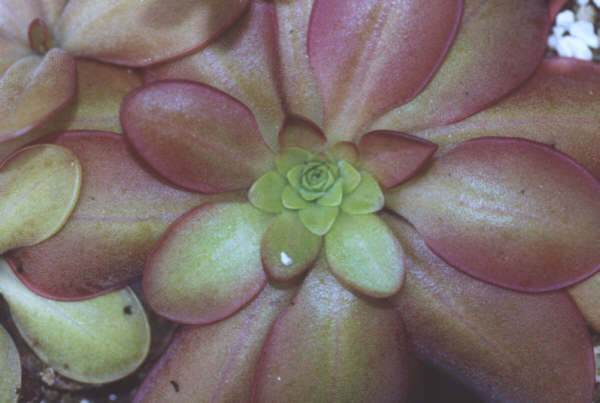 Life cycle : The life cycle observed in culture for this Pinguicula consists of two seasons, one wet and the other dry. The plant forms different leaf rosettes according to the season. 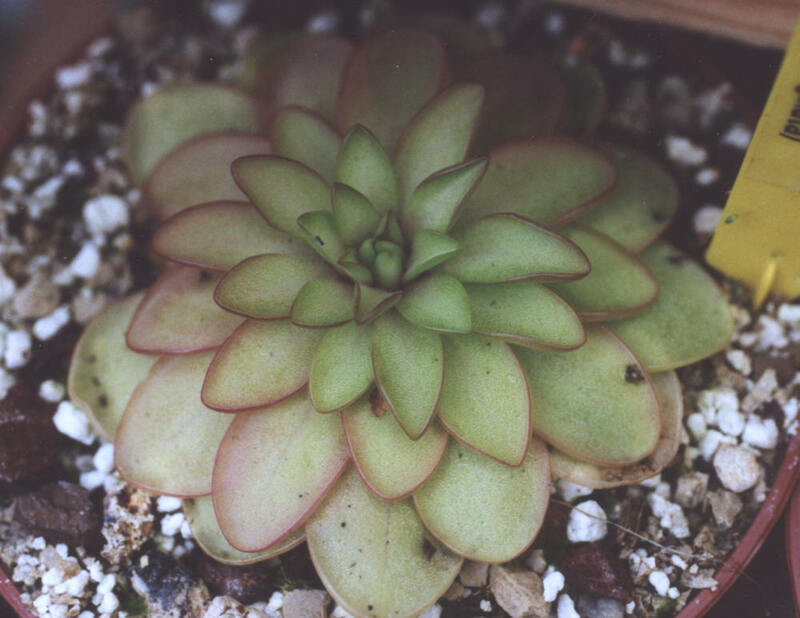 During the resting months (winter) the small succulent rosette is composed of numerous smaller non-carnivorous hairy leaves. The carnivorous leaves are produced in spring and during all summer. Watering is very important : from May to September (summer). I let the media drying slightly between two watering. I use rain water poured on the top of the pot taking care not to wet the rosette. From October to April, It is important to let the media drying completely (no watering) but with a low atmospheric humidity. Multiplication : By leaf cuttings only if you want to keep this hybrid or by pollinating the flowers but the seeds will not be P. x 'Seductora'. This Pinguicula can indeed be propagated easily using non-carnivorous leaves separated from the rosette at the end of winter. You only have to carefully tear out all the leaf particularly with the white base. The new plantlets will sprout from this area. (see link). The incredible flower of Pinguicula laueana. (I don't know what clone of Pinguicula emarginata have been used for the crossing). 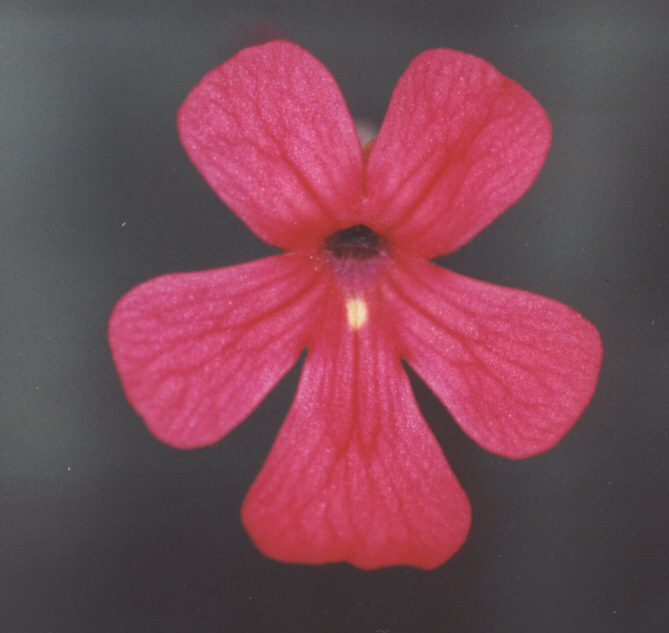 The flower of Pinguicula emarginata in culture. 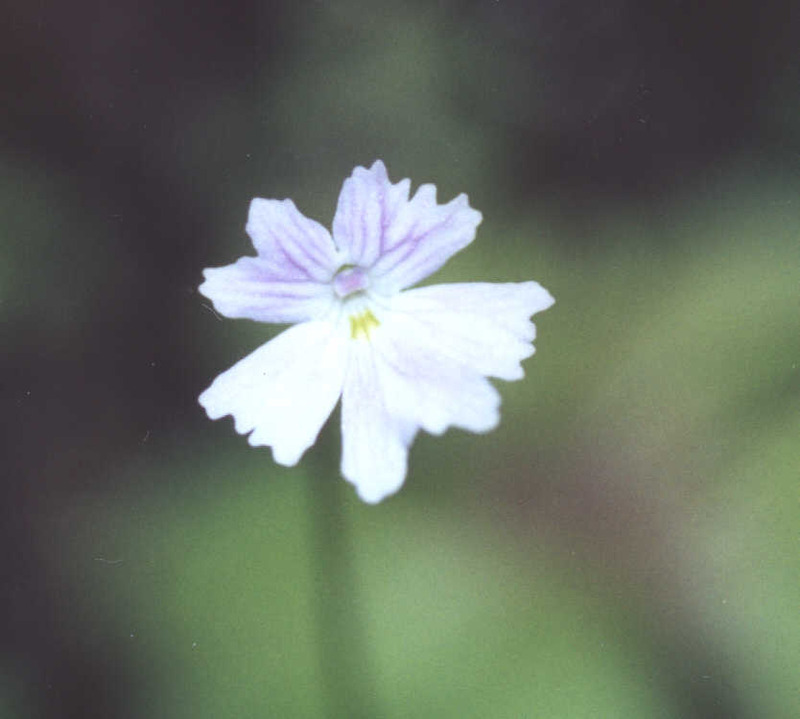 This is the pale form colour (I don't know what clone of Pinguicula emarginata have been used for the crossing).